The Taurus-Express or Toros Ekspresi from Istanbul to the South-East, created in 1930, should have become the connection not only with the Iraq, but with the Iran and Egypt as well, and its sleepers should have come from London by the Night Ferry or via a future Channel tunnel. "London - Cairo" was the dream of CIWL owner Lord Dalziel! Only the Istanbul - Baghdad services became true, with steamer connection Basrah - India. 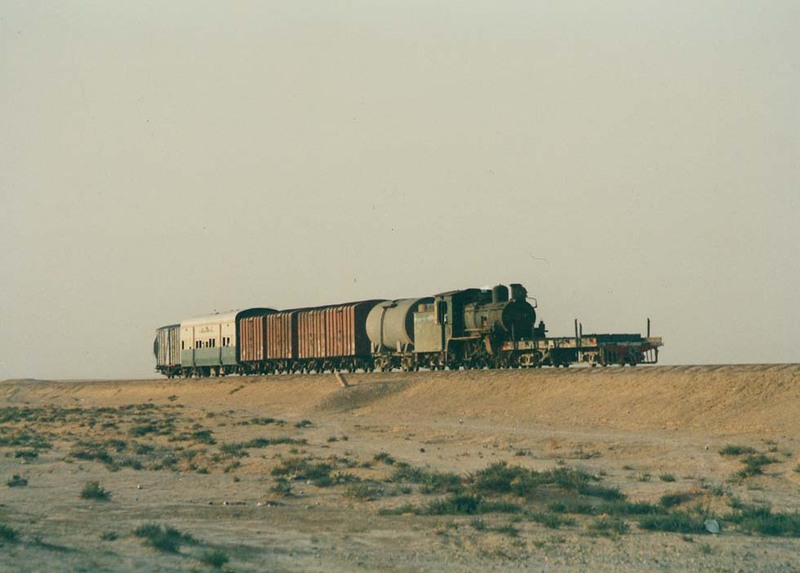 Steam class 56.0 (2-10-0) TCDD Meydan Ekbez - …..
Coach TCDD ex CFOA/Bagdad Baghdad - Istanbul ? Van TCDD ex CFOA/Bagdad Baghdad - Istanbul ? WR from Baghdad or Alep interrupted. Additional cars in Turkey. 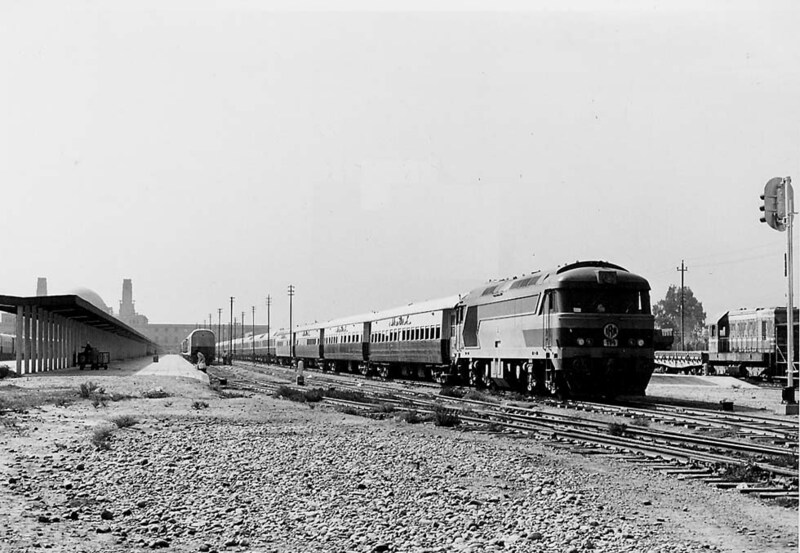 Estimated traction: Baghdad - Mosul PC (4-6-2 streamlined), later TD (2-8-0 ex WD), Mosul - Tel Kotchek (El Yaroubieh) GA (2-6-0) of ISR, Tel Kotchek - Alep series 611-633 (2-6-0) of Cenup Demiryollari. On the Taurus section of the TCDD double traction 56.0, from Irmak helper (2-8-0), from Ankara 46.0 (2-8-2). Initially 46.0 (4-8-0), possibly 45.0 (2-8-0) were used. Colors: TCDD cars varnished teak or dark-green, CIWL dark-blue. Colors: Locomotive green/yellow, cars green/cream. 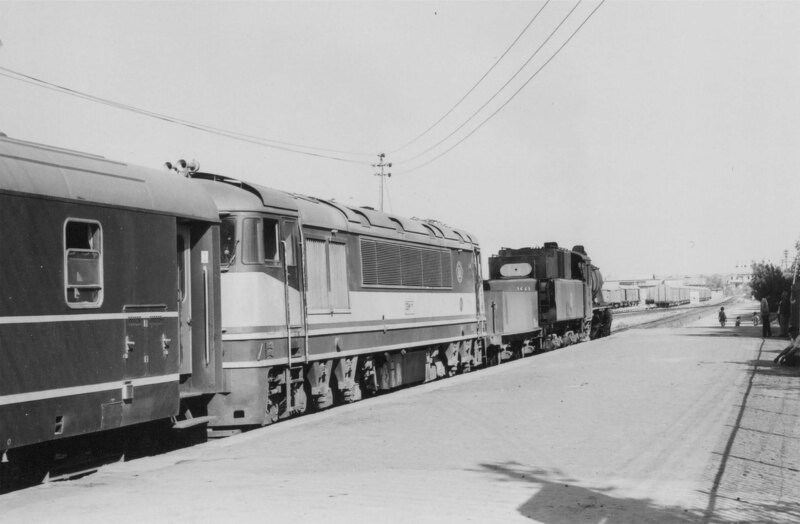 Until 1968 the Basrah Mail used the meter-gauge, traction by HGS (4-6-0), then W(2-4-2, Mac Arthur type) and Z (2-4-2), green/black. Cars form England, including a diner, green/cream. Southward Taurus-Express separate from the Mosul train, with class DEM 3000 (BoBo, CKD). The Alep section took a different route from Karkamis and was re-united with the first section at Fevzipasa. Mosul - Fevzipasa combined with freight trains. 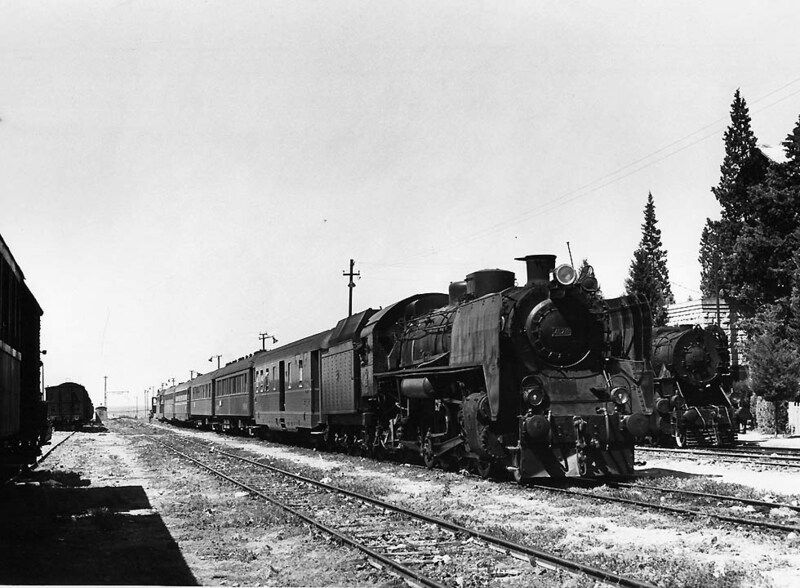 Traction:DEM 2000 class to El Yaroubich, from Mosul helper, sometimes steam TE (2-8-0), El Yaroubiech - Nusaybin 040 (0-8-0) by CFS, Nusaybin - Senyurt 44.0 (0-8-0) by TCDD, Senyurt - Nusaibin also 46.2 (2-8-2 ex WD), Senyurt - Karkamis 45.1 (2-8-0 ex USA/TC). TCDD, 2nd section Karkamis - Cobanbey 45.1 TCDD, in Syria ex-WD, later French or Russian diesels, Meydan Ekbez - Fevzipasa 56.0 (2-10-0) TCDD, 1st section Karkamis - Gaziantep 45.1 TCDD, from Gaziantep diesel DE21 (CoCo, GE), from Ankara DE18 (BoBo, Alsthom). Colors: Diesels IRR green/cream, TCDD steam black (with red), diesel red/cream, cars IRR green/cream, TCDD dark-green, WL dark-blue, WR Nusaybin - Istanbul ex-CIWL dark-green. 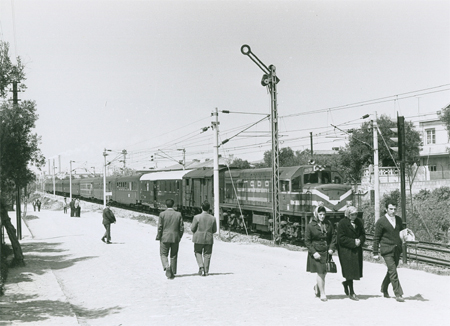 The Taurus-Express continued running from Istanbul to Gaziantep with blue/red Turkish cars. Alsthom DE24000 diesels gradually replaced the GM DE22000. With electrification of the line to Ankara, white/blue E43000 of Tulomass/Toshiba took over..On the Taurus line new white DE33000 diesels from General Motors were introduced. 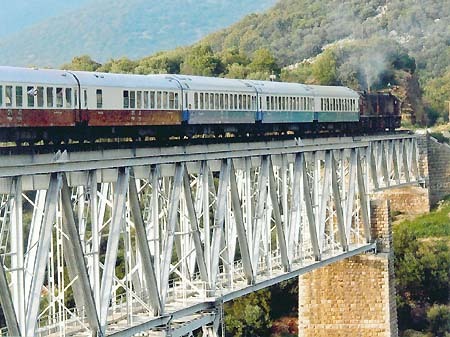 In 2001 the express got a sleeper Istanbul - Damascus, a blue/cream Syrian car from East German production. At Karkamis it was attached to a freight train, hauled by a Syrian Russian-built TE114 type diesel. Thomas Cook Overseas Timetable 2008 doubted if the section Alep – Damascus is actually operating and (according to Heiko Mueller) the 2 Syrian sleepers were running only Istanbul – Alep. 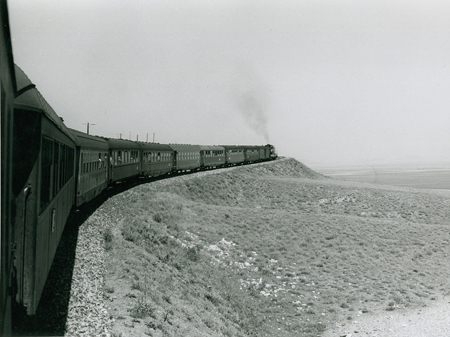 On the old Bagdadbahn the regular Gaziantep - Nusaybin train continued to run three times weekly, its single-track being protected by barbed wire and land mines. For the local population in that region between Turkey, Syria and Iraq it's "the train to Europe" (Focus, Nov.15, 2004). Cook's Overseas Timetable (e.g. in 2005) mentioned a once-weekly train Gaziantep - Baghdad only with sleeper service and in Turkey also a diner. About Iraq after the war in 2003, Clement Martin wrote in Rail Passion (May 2004): In January he took the train Baghdad - Basrah, looted like the stations, consisting of four French coaches, and a dark-green Chinese diesel from 2001, resembling China's DF4 class. 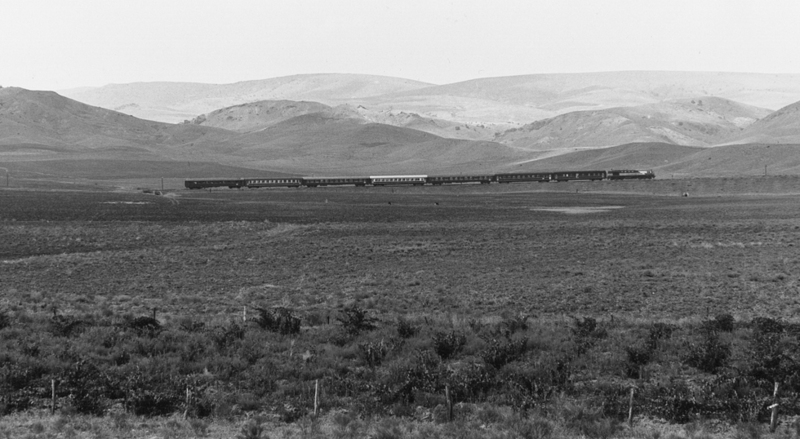 More dangerous was the trip by a similar train westward to Husaiba at the Syrian border, the end of that line. On the Northern line to Mosul there had been no train for two weeks, but ..." A train from Turkey arrives once weekly at Baghdad. The days are not fixed. When it appears at the border, the U.S. Army announces it to IRR". 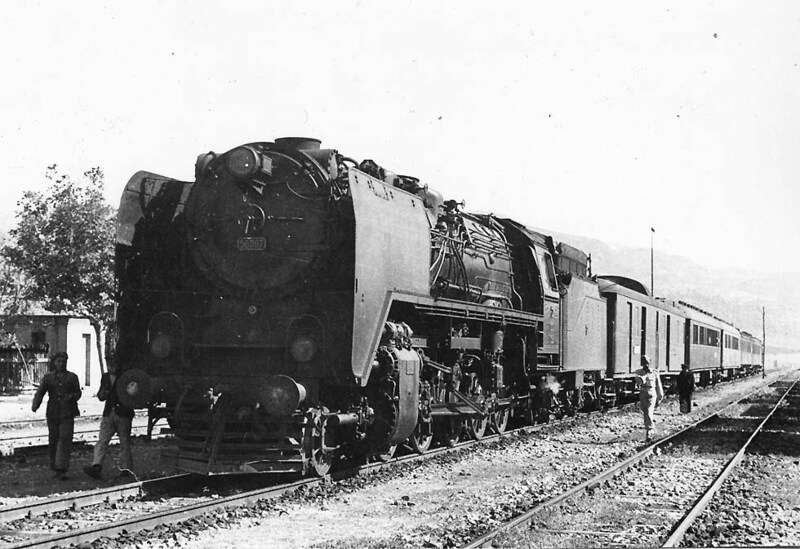 Mainline diesel locomotives (DEM) in service were series from MLW, Henschel-EMD, Macosa-EMD and the Chinese ones. 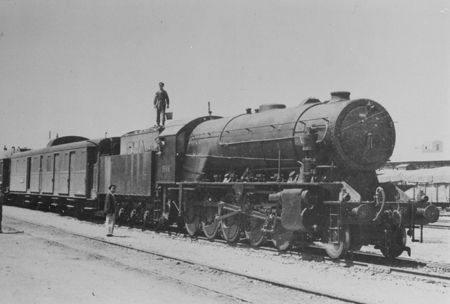 Saddam's special train (almost never used by the tyrant) with its Henschel engine served for inspections. 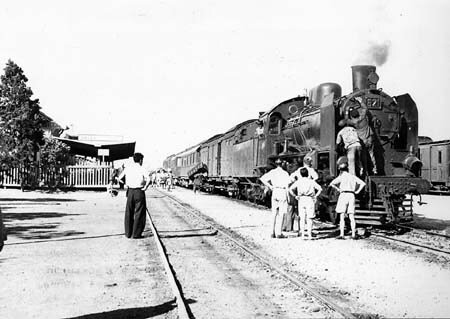 Cook’s Timetable 2008 listed trains Alep – Mosul via Dayr az Zawr and Mosul – Baghdad, but no service to Basrah. 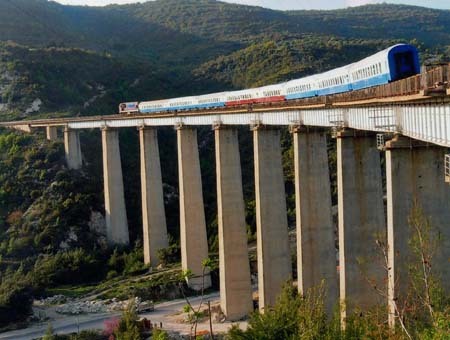 Though in 2010 Railway Gazette Intl anticipated the restart of train services from Gaziantep to Alep and to Mosul, it stated that the Toros Express "remains suspended".